The ERI and Energy Cork have launched the 2016 Cork Climathon to take place on the 28th October in Cork. 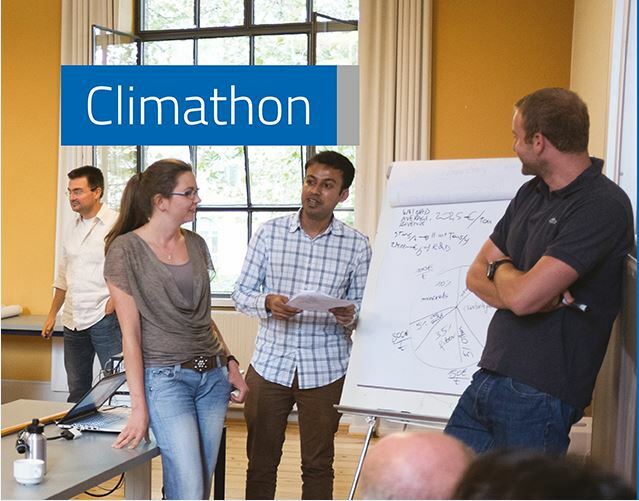 Climathon is a global 24 hour hackathon focused on finding practical solutions to specific local climate change challenges – the event is taking place simultaneously in 121 cities around the world. The Climathon brings together the challenges of the world’s cities with people who have the passion to solve them. The 2016 Cork Climathon challenge will be “How to make Cork’s food and agriculture sustainable and climate smart”. Real-life climate challenges will be presented by key stakeholders involved food production in Cork; Climathon participants will work in teams with business coaches to ideate, problem solve, develop business cases and pitch their ideas to address these climate change challenges. The Climathon will be a unique, fun and challenging – the nature of the challenge and approach will be intensive and, we hope, rewarding. It is a free event, but places will be strictly limited. You can find out information and how to participate Cork Climathon 2016 at https://climathon.climate-kic.org/cork. The event will be held at the ERI Building, Lee Road, Cork from 10am on Friday (28th) to 10am on Saturday (29th). The Global Climate Hackathon is on! The Cork Climathon 2016 is being organised with the support of Ignite UCC, Blackstone LaunchPad at UCC, Cork City Council, Cork Local Enterprise Office, Taste Cork, MaREI and IERC.